I had it in my head that this year is the tenth anniversary of Gwulo, but it turns out to be both older and younger than that. 2002 - The beginning: do you remember Gwulo's ancestor, Batgung.com ? Way back in 2002, two years before Facebook appeared, blogs were the hot topic on the internet. We posted occasional short articles to the site, and there was also a discussion board where visitors could post messages. They also show the leisurely pace of posting at that time. Only 26 messages were posted to the site in those four months - less than two per week! 2005 - Can you say "Content Management System" ? But all the text and photos still had to be added to the site manually. That was my job so, being lazy, I started looking for an easier way. A content management system (CMS) promised to allow us both to add new articles, etc, and without having to understand HTML / FTP / and all the other jargon. I chose the open-source Drupal CMS, and we're still using Drupal today. Here's how the site looked at the end of the year, after switching to Drupal. Love those orange links! I used it on the page "Air-raid shelters under Kowloon Park", written in February 2006. It's the page I had in mind when I was thinking of Gwulo being ten years old. It wasn't the first post with photos, or the first post about historic sites - we already had write-ups of the visits to Shing Mun redoubt from 2003, and Jubilee Battery from 2004. But those had been visits to places we'd read about in books. The air raid tunnel post was the start of finding out more for ourselves. Photo courtesy of Greg Fripp. Thanks to reader moddsey for writing in and identifying this photo: "[This photo was] taken from the Aberdeen Praya Road with the floating restaurant in the background. I attach a similar photo for comparison." This was the beginning of readers submitting photos to the website. In particular, moddsey has been a prolific contributor to the site, and I'm very pleased to say he continues to be just as active today. As I talk about how the site has changed over the years, it is easiest to point to new features and changes in its appearance. But the most satisfying changes have been to see how the community of regular Gwuloers has grown, and how much help and knowledge has been shared over the years. Up til then, every page on the site was either an Article, a Photo, or a message in the Forum (Drupal's version of a discussion board). In March 2009 I asked Batgung's readers, "Shall we build a catalogue of Hong Kong's history?" Build a framework that different contributors can plug their information into. Encourage connections between pages so visitors are led to related information. The content and audience for the present HK & past HK were quite different, and it became clear that they'd do better on separate websites. Later that year we added the "Person" type of page. The first person to have their own page was Mr Billy Tingle. That page has since been viewed over 12,000 times, and the most recent comment was added just last week. People, Places, Pictures and Stories continue to be the core of the site. Transcription - typing up the contents of old scanned documents - is not glamorous work. But the results make great resources for people researching Hong Kong's history. In 2010 we began the long-term project to transcribe all lucky 88 years of Hong Kong's Jurors Lists, covering years 1854-1941. They show the obvious information of where a man worked and lived, but they also show changing patterns of nationalities and occupations, when roads and districts were developed, etc. We've completed 34 years already, so we're closing in on the half way point. If you can spare half an hour to type up a page, we're currently working on the list for 1922. There are thirty pages in a list, and well over a thousand subscribers to Gwulo's newsletters. If we each type up one page we'd finish all 88 years in no time! December 2011 was the 70th anniversary of the Japanese invasion of Hong Kong. I was thinking about how to present memories of that time in a different way, and that's when the Wartime Diaries project began. We'd take several diaries from 1941-1945, and slice them all up into their daily entries. Then readers could sign up to receive a daily email that shows them all that day's diary entries from seventy years ago. They'd follow the diarists from the declaration of war, through the fighting and the long occupation, to eventual liberation. The first group signed up in January 2012, and most continued on until the last messages in late 2015. Each December since then, we've started again from December 1941. In a few days' time the sixth cycle will begin, with the new group of subscribers following events from 75 years ago. Many of the subscribers have a family connection to wartime Hong Kong, and find it helps them understand what their relatives experienced. The best example of that is the story of how R E Jones's diary was reunited with his family. The project has been a great example of many people contributing work and material to make it a success. Thanks to everyone who has helped, with special thanks to Barbara Anslow for contributing her diaries and sharing her memories of Stanley Camp, and Brian Edgar for adding his research to give readers a broader picture of the events described in the diaries. It's an example of using technology to present history in a way that's different from a traditional printed book. Getting a small daily dose of information over the three years and eight months is a different experience than sitting down to read a book over a weekend. And a typical day's entries have several links to additional information, encouraging readers to learn more about the people and events who are mentioned. At the start of 2013, Mike Cussans uploaded over one hundred family photos of Hong Kong in the 1960s and 70s. Though we didn't realise it at the time, he had created Gwulo's most popular page. So far it has been viewed over 45,000 times! You can see the full collection of Mike's photos here. Have you got any photos of old Hong Kong you can share with us? Here's how to upload a photo to Gwulo. I can't promise they'll be seen 45,000 times, but I can promise we'll enjoy seeing them. As the title suggests, 2014 was a mixed year. The "Ugly", was definitely the upgrade, moving the website onto the latest version of Drupal. I'd tried and failed the previous year, but after several months work, 2014 was the year we finally moved to Drupal version 7, and the website you're looking at now. The "Bad" was an example of a little knowledge being a dangerous thing. As part of my ongoing battle against spammers, I thought I'd found a clever trick to keep them at bay. Except I noticed that we were getting less and less people visiting the site, and in particular visitors from Google search were drying up. I finally worked out my "keep spammers away" had also kept all of Google's spiders away, making the site invisible to Google search. Ouch! It took well over a year for our visitor figures to recover from that. Some time in 2015 the site passed 20,000 pages. Now a page can be just a single question or photo, but it can also be a long article with many comments. However you look at it, we've built a significant resource for people interested in Hong Kong's history, and it continues to grow. That's good to remember if I'm having one of those occasional down days about running Gwulo. I also think of Carl Smith and his collection of index cards. Can you imagine the day he started? I guess he'd have finished up with a handful of cards. Even after the first year there would have just been a few hundred cards, and the cards would have been more blank space than information. It must have been tempting to stop, and I'm sure people told him he was wasting his time. But he kept at it, until his collection ended up with almost 140,000 double-sided cards. His work will help researchers far in to the future. I'll do a round-up of the year at the end of the month, but one of the big enhancements this year has been to improve the support for maps on the site. I do like maps! You can see how the maps work in this short video. 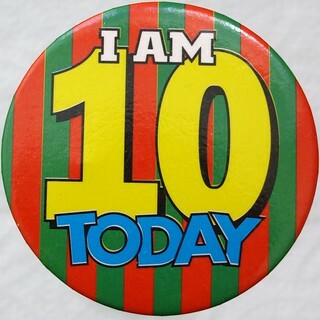 Thank you to everyone who has been part of the first ten (or seven or thirteen!) years of Gwulo, I hope you'll stay around for the next instalment. If you've got any questions about Gwulo, please leave a comment below and I'll be happy to answer. And if you'd like to indulge in a bit of navel-gazing, please let me know your ideas for what you'd like to see from Gwulo in the next ten years. Do you recognise anyone in this photo of the Hong Kong Auxilary Air Force social group circa 1959 ? Was this "Coolies" photo posed? Where was the Lyemun Cemetery? Panoramas from the Peak in 1995 and 2009. Aerial view of Morrison Hill in 1963. The 1921 Jurors List is now online, and we've started typing up the 1922 list.